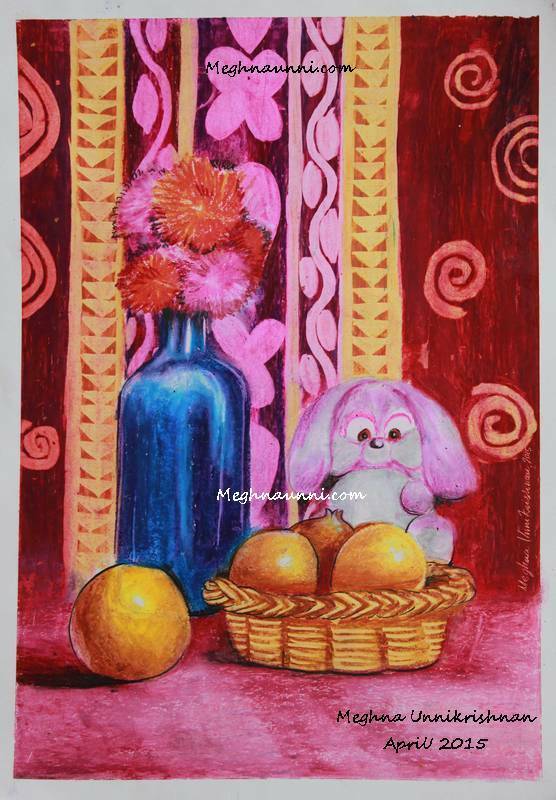 Teddy Bear & Bottle Still Life Painting in Oil Pastels. Done for my Art class. Medium : Camlin Oil Pastels.